Middletown Storm, went undefeated this weekend at the Middletown Spring Blast Tourn. Sat. they won 5-0 and 3-2. Sunday 2-1 and a shut-out in the finals 4-0. They scored 10 goals which included 2 header goals scored by Emma Bryant and only allowed 3 goals to be scored against them. 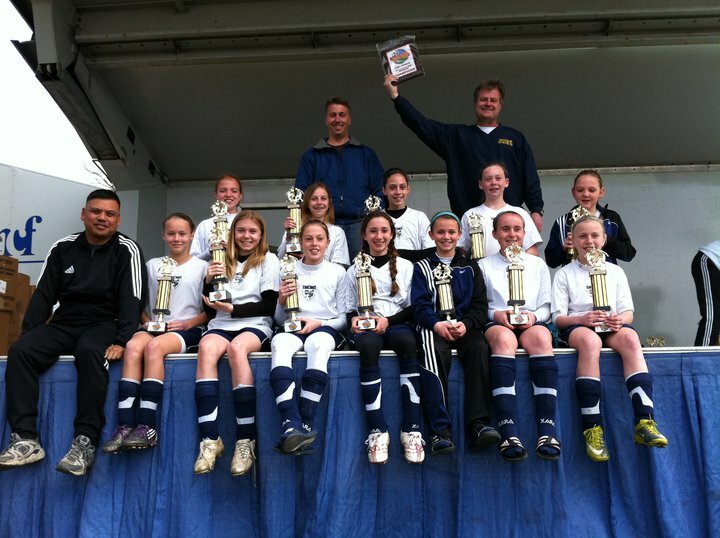 This is the third straight year they took 1st place in the top division of their age group, at this tournament. Some of the girls on the team are from Monroe.